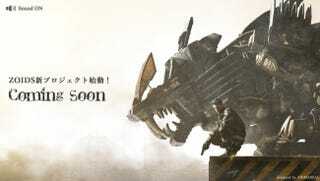 Takara Tomy has opened a new teaser website where the image that you are looking is showing, in there where it is obvious that a new Zoids related project is being worked on with the legend “Coming Soon”. It still unknown if it will be a new Manga, Anime, Video Game or something else. Although the last anime appeared in 2006.